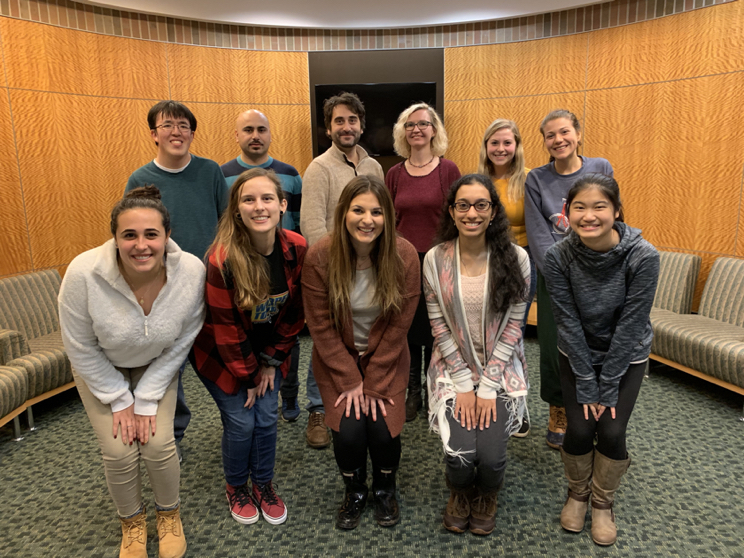 The Michigan State University (MSU) Speech Lab investigates speech perception and production using a wide range of approaches. One of our goals is to better understand the mechanisms underlying both normal and disordered speech perception and production. A particular focus of our lab's research at the moment is to understand how the quantity and quality of parent/child communication affects that child's development of speech comprehension and production. We are especially interested in how speech and language input affect development in infants who have disorders that affect hearing. Another focus of the lab is in researching the neuro-cognitive mechanisms underlying speech prosody (defined as the pitch, timing, rhythm, and loudness of speech). Finally, recent research in the lab aims to identify the interactions between social psychology and speech perception. The principal investigator of the MSU Speech Lab is Dr. Laura Dilley.